"Love this place. Friendly people willing to work with you." 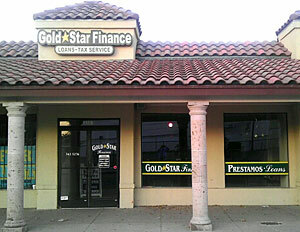 Gold Star Finance is proud to be a part of the Brownsville, TX community, providing short term consumer loans within the Brownsville TX area. Stop by our Elizabeth Street location so we can get to know you better. The city of Brownsville,located directly on the Mexican border is Texas' Southmost City. An International bridge connects the city to Matamoros, Mexico. Brownsville is the County seat of Cameron County and is the major manufacturing center of the Rio Grande Valley. Brownsville has its own generalAviation Airport. The city today stands as one of the fastest growing manufacturing regions in the United States and important center for Technology Industry and distribution. Brownsville offers many cultural and recreational opportunities for its visitors and residents. Museums ans historic sites. Annual events in town include The Charro Days in February. The commemorative Air Force museum showcases vintage military aircraft and presents an annual Air Fiesta every March. The Gladys Porter Zoo has more than 1500 animal species housed in natural settings.